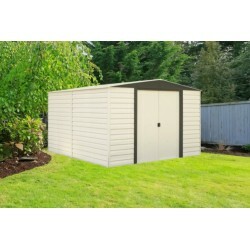 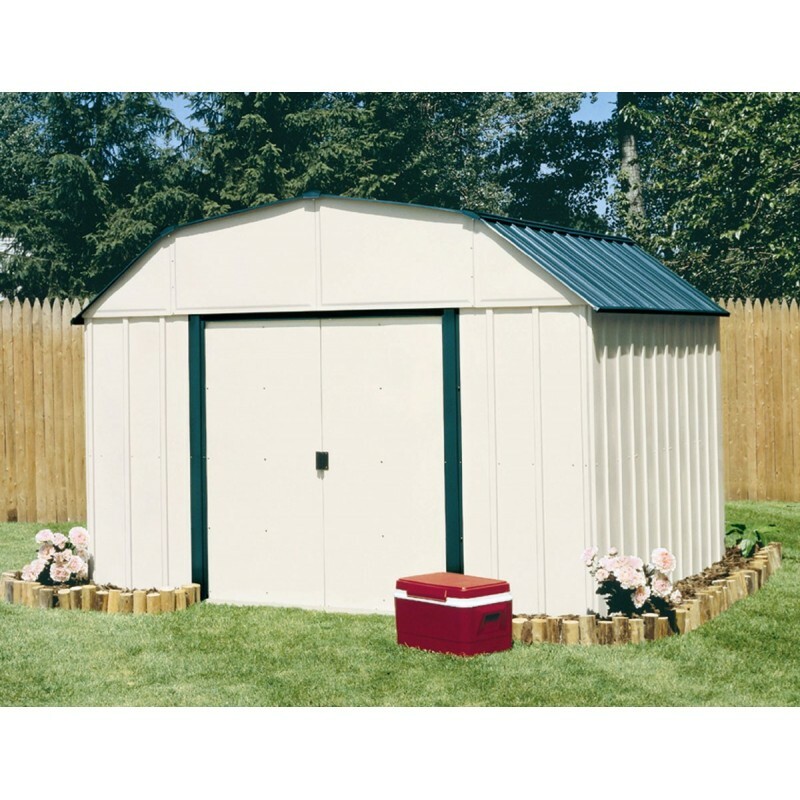 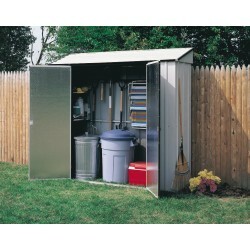 The 10'x14' Vinyl Sheridan steel storage building provides a large organized area for keeping your tools, lawn equipment and much more! 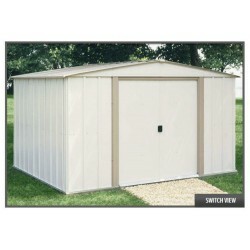 You get a huge 852 cubic ft. of space. 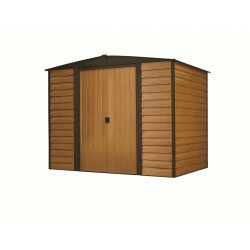 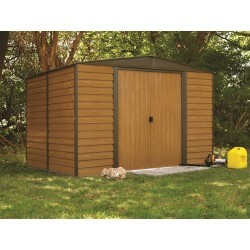 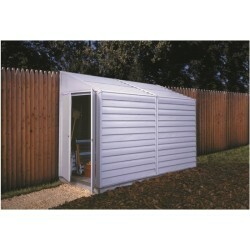 The vinyl-coated steel gives a five times thicker finish than standard steel buildings. The barn-style Sheridan's interior peak height is over 7 ft. tall for extra head room and work space. 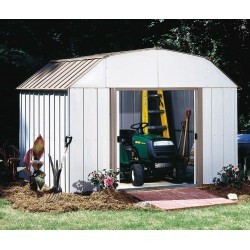 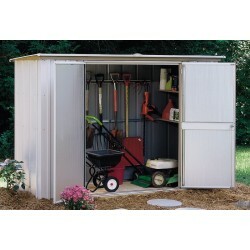 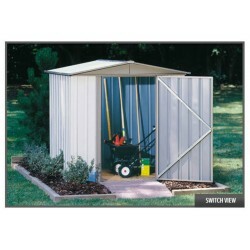 A large door opening (55 1/2" W x 60" H) lets you easily store large equipment like many riding mowers. 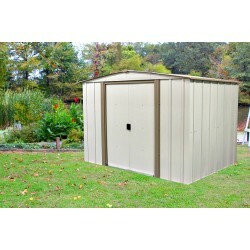 Parts are pre-cut and pre-drilled for faster assembly. 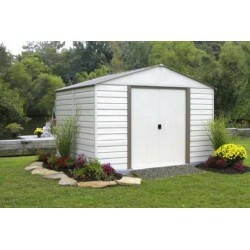 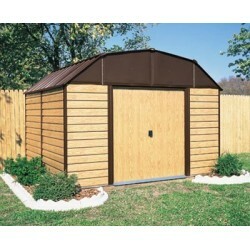 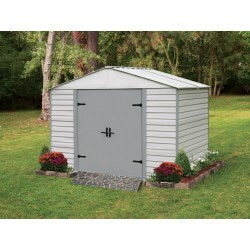 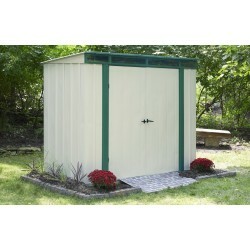 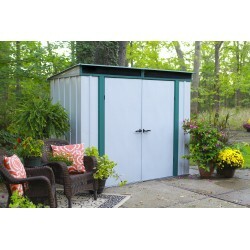 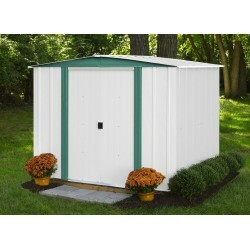 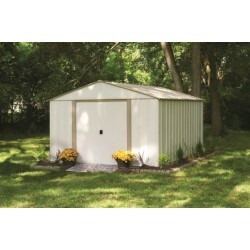 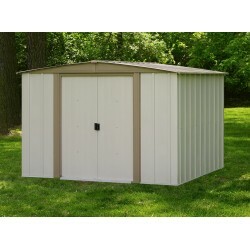 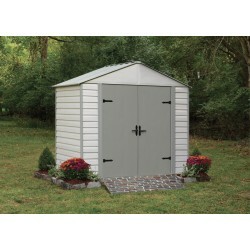 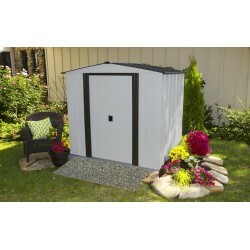 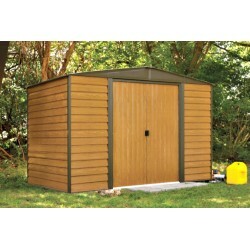 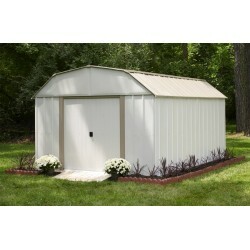 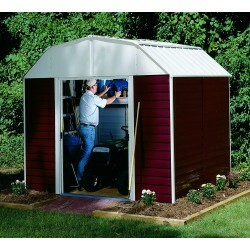 Durable vinyl-coated galvanized steel parts give you a long lasting home for all your storage needs. 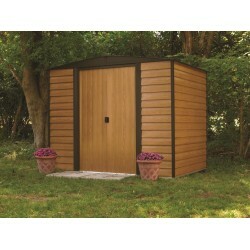 The Vinyl Sheridan is backed by a 15 year limited warranty. 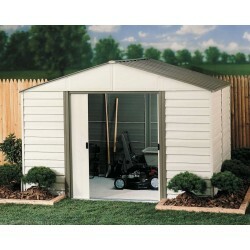 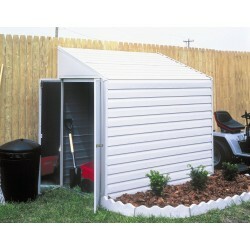 Double sliding doors with large door opening for easy entry and exit – accommodates a riding mower with a 54 inch deck.